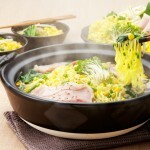 2.Rinse Harusame and soak them in hot water about 30 seconds. 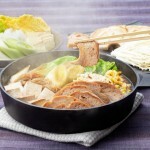 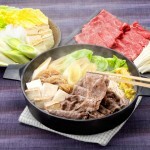 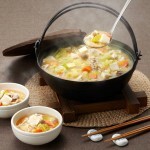 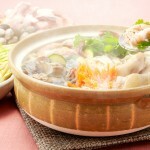 3.Fill a deep pan (Nabe pot) with 4 cups water and sake. 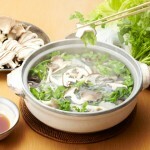 Once it begins to boil, add the lettuce, watercress, harusame and beef. 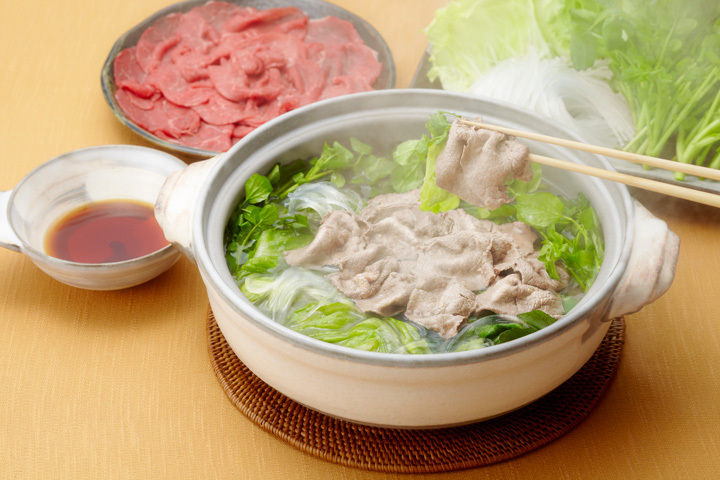 Bring the soup to the boil, once the beef changes to a darker color (thin sliced beef will cook quickly) and other ingredients are cooked until soft, dip them in Ponzu sauce and enjoy.